As a future bride, you dream of the perfect wedding, with a flawless program – a wedding where all guests can enjoy themselves and have a great time. And in your book, the only way to achieve that is by having an adults only event. While this may seem like a delicate and even taboo topic, it is not as difficult as you would expect… you just have to find the right adults only wording for wedding that creates no offense while making your wishes clear. Due to various restrictions at our selected venue, children under the age of 16 are not invited. Because we wish to give all our guests a fun evening, we have opted for our wedding day to be an adults only event. Hopefully, you will be able to still attend our reception and enjoy having a night off! Thank you for your prompt response – we received your RSVP card and we are so happy that you will attend our wedding. We noticed that you included little Eleanor's name on the card but unfortunately, we are not able to host Eleanor or other children at our wedding, due to the fact that the venue has limited seats. We hope that you will be able to make it to our wedding after all! Looking forward to seeing you there! We apologize for the miscommunication. Specifying that the venue has limited capacity is another viable solution of an adults only wording for wedding. Remember to always be courteous, friendly, yet clear and concise at the same time when wording your invitation text regarding your no kids policy. 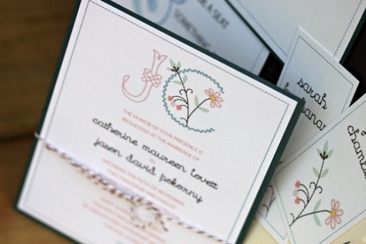 Thinking of wedding invitation wording (no children) but not sure how to? Try out some of these tricks of giving child-free invitations without offending your guests. Entertaining kids at weddings is not that hard after you check our list of 20 great ways to make kids busy and happy at the wedding, whether you have an indoor or outdoor wedding. 10 more helpful wedding photography tips here will guide you through choosing a photographer to perfecting your pose for beautiful wedding photos you will always love. Check Keira Knightley’s wedding! The actress made her special day in a very simple way, everything was gorgeous but basic. Want a simple yet memorable wedding like she did? Read on! Pick wedding readings from books have become popular. Take a look at our tips and selections meant to help you pick the perfect paragraphs to describe your unique love! Picking the perfect wedding favor for your guests is a tricky task, you’ll need something that are valuable yet budget friendly. 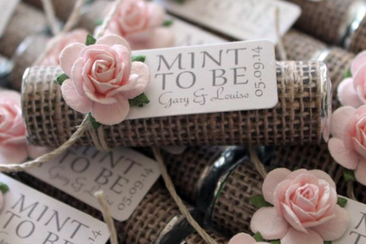 Here is 16 unique wedding favor ideas for you.